Prathu's Food: May 2014 - Passionate Cooking for Vegeterian Food. It's been 1 month I have posted any recipe in my blog. Asusual busy with my cute n notorious doll. Mango is my favorite veggie dat we can prepare pickle to desert, I can easily say 10 recipes back to back with out break as we prepare pickle, chutney, curry, dal, rasam, juice, sambar, desert. This dish is for this month's SSshh Secretly Cooking hosted by Priya of Priya's Versatile recipes . 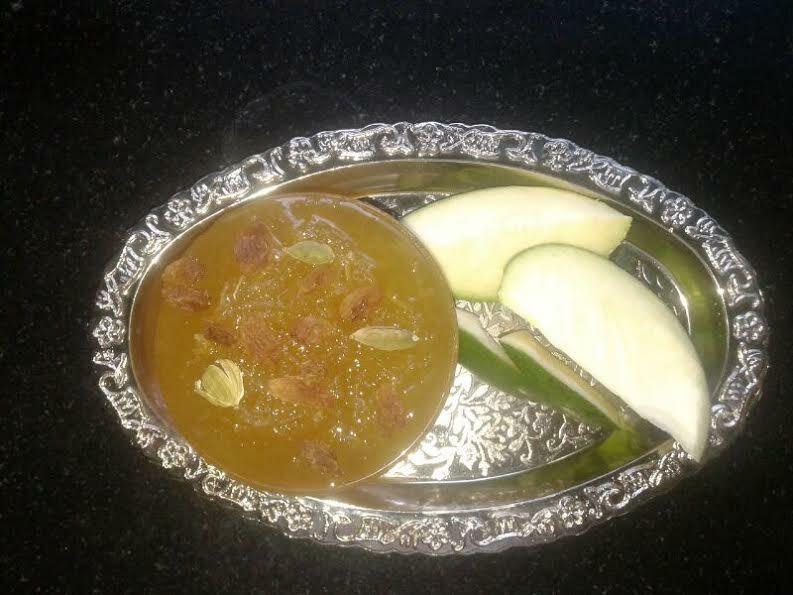 As per challenge my partner for this month is Nirmala Gurunathan of Nirmala’sKitchen gave me mango, green moon as choice I chose mango and prepared this yummy jam. She has such a lovely blog we can find any recipes from authentic chutneys to tasty cakes. she became a very good friend of mine in a very short time. do visit her wonderful blog. This dish is an authentic dish made from our grandma's time but been favorite of dadi's to toddlers. goes damm tasty with roti's and also topping for breads. Heat a vessel, adjust to low flame and add grated mango and saute for few minutes. Add sugar, saute till sugar dissolves till it thickens. Add cardamom powder n saute fora second, switch off flame. After cooling down store it in a glass jar. It can be stored for 1 month. Tastes well with rotis and bread.